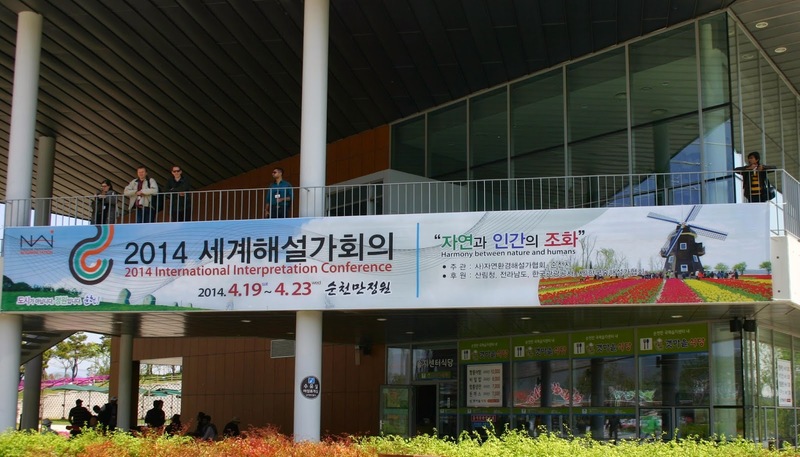 National Association for Interpretation (NAI) International Conference was held in Suncheon, South Korea, from 19 to 22, 2014. Approximately three hundreds participants were attended from around the world. At the Keynote speech, NAI president Amy Lethbridge said “interpretation is about making connections—to hearts and minds of our visitors and to the meanings and values of the resources we interpret.” Many new participants are joined the conference and get to know each other as a bigger NAI network. At the workshop section, Minyan Zhao from China presented “Native Interpretation Attracts Tourists Understanding Tibetan Conservation in Potatso National Park.” She said native interpretation connects regional resources, local people, and tourists. Moreover, she explained about eight treasurers of Tibetan program which were successfully practiced in Potatso National Park. Similarly, Jay Miller from USA presented “Interpretation Changes Lives.” He introduced a new definition of interpretation. Poul Hjulmann Seidler from Denmark presented “the Potential of the Narrative Approach in Nature Interpretation.” The workshop participants were also have outdoor activity how to engage participants and how to ask questions that are related to the participants’ own lives as a means to motivate them for environmental protection. The audiences most pay attention workshop was the presentation on “City Kids in the Wild: Nature Experiences for Urban Teenagers Through a Youth Development and Leadership Program.” The presenters were Jamie Vance, outdoor leader, MRCA, USA; Zuriel Chester, outdoor leader, MRCA, USA; Jamie Carbral, Chief of Interpretation, MRCA, USA. They particularly focus on Los Angeles City, where are multi-cultural co-existed, White community, Latino Community, Black Community and so on. The participants went to Suncheon Bay tour on April 21 and had a dinner party at Waon. In the middle of the party, a Korean villager was disrupted at the stage, the party ended without finishing Korean Tradition dance. The next day, April 22, the participants had a trip to Seonamsa Temple and Gurye Tour, at the end of the trip, most of them left back straight to Seoul. (Washington, DC: March 28th, 2014) Physician Shortage, J-1 Visa Waiver Program, Immigration Reform, Permanent Fix to the Medicare SGR, Medical Liability Reform, Tuberculosis Prevention and Funding, and Support for the Nomination of Dr. Vivek H. Murthy as Surgeon General of the United States were part of the Legislative Agenda for 2014 discussed during the annual Legislative Day, organized by the Association of American Physicians of Indian Origin (AAPI), the largest ethnic organization of physicians, representing over 100,000 physicians of Indian origin on Capitol Hill, Washington, DC on March 26th and 27th, 2014. In their efforts to make their voices heard on Capitol Hill, particularly on issues relating to healthcare, over 120 members of AAPI from around the nation shared of the need to fix the many vital healthcare issues that confront the physicians in the US, even as the nearly two dozen US Lawmakers from both the Parties endorsed AAPI’s agenda and expressed strong support, while promising to do the needful in the US Congress. AAPI’s Legislative Day and Reception on “Doctors Making a Difference” began with a Indian Buffet Dinner Reception at Rayburn House Office Building on Capitol Hill on Wednesday, March 26th, 2014. In his keynote address, India's Ambassador to the United States, Dr. S. Jaishankar, praised the Indian American community, and in particular, the physicians of Indian origin, for their great achievements and contributions to the their motherland, India, their adopted land, the US and in a very significant way to the transformation of the Indo-US relations. He emphasized the key role AAPI’s Global Healthcare Summits have made in transforming the delivery of healthcare system in India. “If India has changed, the credit goes to you the physicians of Indian origin,” he said. “You have made a change in the perception of India in the US by your hard work, commitment and great achievements. And we are truly grateful to you,” he added. In her keynote address on Thursday, March 27th, Assistant Secretary of State, Nisha Desai Biswal, the Obama administration's point person for South Asia, praised the Indian American physicians and the broader Diaspora community for not just being catalytic in fostering the India-United States relationship, but for being the solid anchor that sustains this partnership through good times and bad. “AAPI has been a tremendous organization for what you do here in the United States and for what you do in India and for what you do to improve and extend the US-India relationship,” she said. Among the areas of cooperation between the two nations, she referred to India’s “partnership with the United States on the Global Call for Action on Child Survival, which was a global effort to end preventable child deaths.” Biswal hailed India for being “a leader and a partner on so many health innovations and we are working together, like I said, in advancing health issues in India, but then also partnering with India on taking these innovations globally. These are all indicators of how important and valued this relationship is for both countries but also the future trajectory, which is on a very positive path.” She acknowledged that, “All of this is possible because of the very early investments that all of you have made over the decades, and your continued engagement and activism is most welcome and always, always, needed.” Rep. Jim McDermott, MD (D-WA), co-chair of India Caucus in the US House, acknowledged the “need to fix to the Medicare sustainable growth rate (SGR) formula.” While responding to AAPI leaders referring to the temporary Bill passed in January 2013, averting a 26.5 percent cut, which expires in April 2014. Rep. Steny Hoyer, Chief Democratic Party Whip, pointed out that everyone in the Congress is in agreement that the SGR be fixed permanently. However, the difference is about to how to pay for the increase in healthcare cost that is estimated to be $134 Billion when SGR is fixed. Rep. Tulsi Gabbard, who began the deliberations on March 27th, while acknowledging the need for a permanent fix to SGR, said, “We don’t allow it to lapse, without fixing. The way we get this done is through discussion and respect for each other’s views, working out the differences.” Rep. Tom Price, MD (R-GA) said, “Healthcare problem is not a Republican or a Democratic problem, It is an American problem and we will need to work together and find amicable solutions to it.” Congresswoman Tammy Duckworth (D-IL), a double amputee, surviving a crash during Operation Iraqi Freedom, spoke eloquently of the need to fix the immigration system, the SGR formula and of the need to increase the Residency Slots in order to meet the growing demand for physicians. Rep. Joe Wilson, said, “I have born with a deep appreciation for the Indian American community in the US, and I join you today to have a permanent fix to SGR.” While referring to Members of both the Parties coming together to address and express support for AAPI’s agenda, he said, “You have brought together people who never talk to one another.” Rep. Joe Crowley lamented that the US has not been working towards meeting the growing demand for Doctors by educating and raising the Residency Slots in the country. “Our country has the best, the finest, bravest physicians in the whole world,” he said. While referring to the Indian elections, he praised the peaceful transfer of power through the largest democratic exercise in the world. Rep. Andy Barr (R-KY) and Rep. Ami Bera, M.D. (D-CA), in their remarks, referred to the bipartisan Bill they both introduced in the US Congress, Saving Lives, Saving Costs Act. “This legislation would lower healthcare costs and improve patient care by reducing medical malpractice and insurance fraud using evidence-based guidelines developed by doctors,” Barr said. “Doctors who practice using these guidelines would be eligible for liability protection, known as a “safe harbor,” if the case involves a federal statute or if federal money was used to pay for care,” Dr. Bera added. 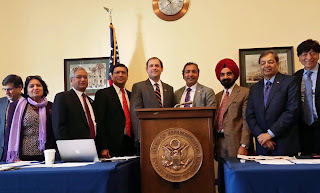 Ambassador Taranjit Singh Sandhu, Deputy Chief of Mission - Embassy of India, in his address, said, “AAPI was one of the first Indian groups to recognize the need for outreach on the Hill. He urged AAPI to continue with the outreach, while crediting the Diaspora for enhanced Ind0-US relations, contributing to the advance in global peace and prosperity. Dr. Jennifer Flood, President of the National Tuberculosis Controllers Association, urged AAPOI delegates to support the initiative to control and prevent tuberculosis throughout the nation and the world. In his response, Dr. Shah referred to AAPI cosigning two coalition letters to Congress on Tuberculosis prevention in December 2013. The first one supported USAID's international TB prevention work and the second one focused on domestic TB prevention by the Centers for Disease Control (CDC). Rep. Frank Pallone, who was the last speaker of the event, admitted that the gridlock in the US Congress has resulted in many important initiatives not succeeding in the Congress. He along with the other Congressmen promised to work in a bi-partisan way, reforming the immigration system, fixing the SGR formula permanently and the liability reforms. The Indian Buffet Reception on Capitol Hill on March 26th was addressed by: Rep. Alan Nunnelee (R-MS); Rep. Zoe Lofgren (D-CA); Rep. Tom Price, MD (R-GARep. Steny Hoyer (D-MD); Rep. Phil Gingrey, MD (R-GA); Rep. Ed Royce (R-CA); Rep. Joe Heck, DO (R-NV); Rep. Tammy Duckworth (D-IL); Rep. Gregg Harper (R-MS); and Rep. Mike Honda (D-CA). Among the US lawmakers who addressed the AAPI delegates and endorsed AAPI’s agenda on several issues, during the conference on March 27th included Rep. Ed Royce (R-CA), Chairman – House Foreign Affairs Committee;. Zoe Lofgren (D-CA), Ranking member, Immigration Subcommittee and House Judiciary Committee, Rep. Alan Nunnelee (R-MS); Rep. Phil Gingrey, MD (R-GA); Rep. Ed Royce (R-CA); Rep. Joe Heck, DO (R-NV); Rep. Tammy Duckworth (D-IL); Rep. Gregg Harper (R-MS); Rep. Mike Honda (D-CA); Rep. Doris Matsui (D-CA); Rep. Judy Chu (D-CA); Rep. John Delaney (D-MD); and Rep. Steve Israel (D-NY). Underscoring the tremendous contributions of the 100,000 strong Indian American community in delivering the healthcare in the US, they praised the NRI Doctors for their hard work, commitment to patients and their constant efforts to make health care affordable, accessible and efficient for everyone in this country. The Congressmen were highly appreciative of AAPI’s presence on the Hill during the SGR vote in the US Congress. “Unfortunately a Temporary Patch for one year with delay in ICD 10 implementation was voted by a voice vote in the Congress,” Rep. Pallone announced with a grim voice, while promising to work towards a permanent fix to SGR formula in the coming months. 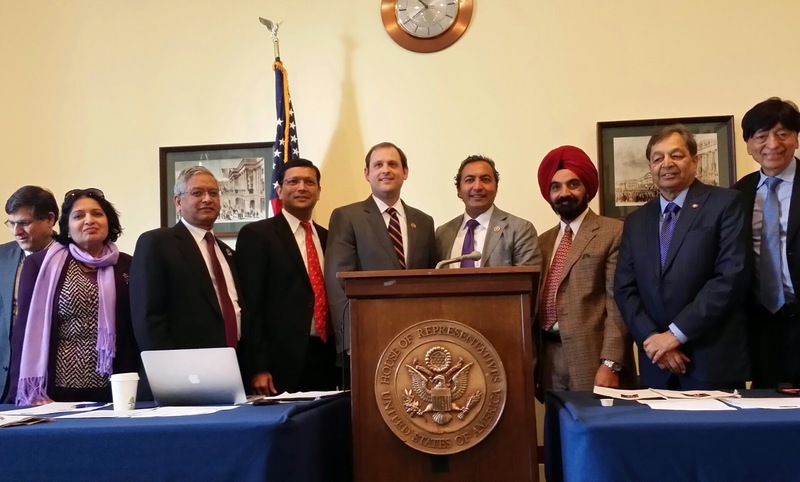 “AAPI has been seeking to collectively shape the best health care for the people of US, with the physician at the helm, caring for the medically underserved as we have done for several decades when physicians of Indian origin came to the US in larger numbers,” said Dr. Jayesh Shah, president of AAPI. “AAPI was abler to draw the attention and elicit support from US lawmakers on Medicare SGR, Immigration Reform, Combating Obesity, Implementation of Affordable Care Act and of course on growing US-India relations.” He reminded AAPI members that, their “presence today has made it possible for us to be part of the process in the implementation of the health care reform in this country.” Dr. Shah promised that AAPI will continue to advocate for permanent fix of SGR formula in the coming months. Dr. Harbhajan Ajrawat, chair of AAPI’s Legislative Committee, led a discussion on the Affordable Care Act and the need for Liability Reforms. Dr. Ajrawat, while referring to AAPI’s efforts to reach out to US Senators in support of Surgeon General Nominee of President Obama, Dr. Vivek Murthy, urged AAPI leaders to meet with their Congressmen and Senators, urging them to support his nomination on the Floor of the Senate, when it comes to vote. b) Increase the Size of Entering Medical School Classes From 1980-2005, while medical school enrollment remained flat, the U.S. population increased by more than 70 million people. Because the percentage of baby-boomer generation doctors (55 and older) rose from 27 percent to 34 percent during this time, the Association of American Medical Colleges (AAMC) predicts that America will need 90,000 physicians by 2020. The number of physicians needed by 2025 according to the AAMC will reach a staggering 130,000. One way to address this shortage is to increase medical school class sizes to meet this future health care need. This issue is vital as it pertains to health care reform, as more physicians will be needed to provide quality health care to our nation’s uninsured patients. 2) Immigration Reform a) Include Physicians Graduating from Accredited U.S. Residency Programs for Green Cards As part of comprehensive immigration reform, a proposal may include international students graduating with degrees in science, technology, engineering and mathematics (STEM) being fast-tracked for Green Cards. This proposal enables highly-skilled workers to remain in the United States after receiving their higher education in America. Physicians graduating from accredited U.S. residency programs should also receive similar treatment. Such a proposal would enable more physicians to be eligible for Green Cards and address the ongoing physician shortage. These physicians would still be required to meet all U.S. licensing standards before they could officially practice medicine. Hospitals and physician practices would be able to quickly hire qualified physicians who can make an immediate impact in local communities. They can forgo years of waiting in line for a Green Card, thousands of dollars in attorney fees and do what they know best – practice medicine and take care of patients. Recommendation: AAPI urges members of Congress to include physicians graduating from U.S. residency programs for Green Cards in the comprehensive immigration reform bill. 4) Medical Liability Reform AAPI supports a healthy doctor-patient environment by curbing aggressive litigation targeting physicians. Such lawsuits have had a chilling effect and driven up the cost of health care, through extra testing and the practice of defensive medicine. In the 112th Congress, The “Help Efficient, Accessible, Low-cost, Timely Healthcare (HEALTH) Act of 2011,” (H.R. 5) limited the conditions for lawsuits and punitive damages for health care liability claims. It established a statute of limitations and limited noneconomic damages to $250,000. AAPI signed a coalition letter led by the American Medical Association to the Deficit Reduction Committee, which noted that the Congressional Budget Office estimated the cost savings from implementing medical liability reform, including limits on noneconomic damages, to be $62.4 billion over 10 years. Fewer physicians today practice in areas such as obstetrics and gynecology, surgery and emergency medicine, due to increased lawsuits and increasing malpractice insurance premiums. Recommendation: AAPI supports federal and state legislation that places effective caps on non-economic damages, limits the use of joint-and-several liability, provides physicians with flexibility to negotiate settlements with medical insurers and limits the statute of limitations for filing medical malpractice claims. 5) Tuberculosis Prevention and Funding AAPI cosigned two coalition letters to Congress on Tuberculosis (TB) prevention in December 2013. The first one supported USAID's international TB prevention work and the second one focused on domestic TB prevention by the Centers for Disease Control (CDC). Please see theUSAID letter here and CDC letter here. We fully support TB prevention and funding both domestically and overseas in countries like India. 6) Nomination of Dr. Vivek H. Murthy as Surgeon General of the Untied States AAPI fully supports the nomination of Dr. Vivek H. Murthy as Surgeon General of the United States. Dr. Murthy has impeccable academic credentials and has been a longtime supporter of advancing health care across the United States. He has also worked tirelessly to support health care initiatives in rural India through his volunteerism and entrepreneurship. AAPI sent letters to all the members of the Senate Health, Education, Labor, and Pensions Committee. Additionally, AAPI President Dr. Jayesh B. Shah led a team of AAPI members on Capitol Hill the day before Dr. Murthy's confirmation hearing, to meet with key Senators, urging them to support his confirmation. 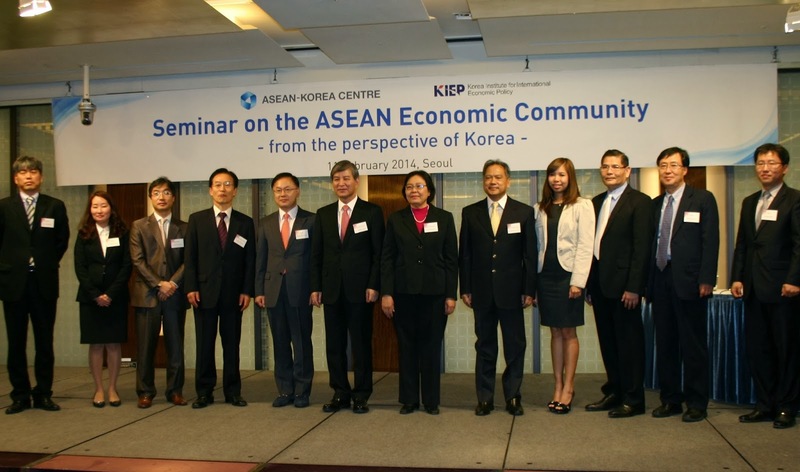 Seminar on the ASEAN Economic Community from the perspective of Korea was held in Seoul City, on February 11, 2014. There were many government officials, diplomats, scholars and businessmen at the meeting. 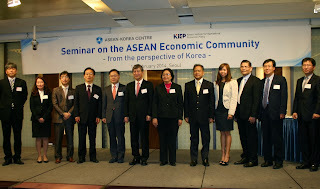 In the first section, the two presentations presented by Dr. Ponciano S. Intal, Jr., Senior Researcher, Economic Research Institute for ASEAN and East Asia (ERIA) presented ASEAN Economic Community status and prospects; and Dr. Daechang Kang, Research Fellow, KIEP, presented 2015 ASEAN Economic Community background and prospect. Dr. Ponciano S. Intal revealed toward “ASEAN Miracle”: sustained high and inclusive growth, where he proposed 4 key pillars and one strong foundation for ASEAN moving forward beyond 2015, 1) integrated and highly contestable, 2) competitive and Dynamic, 3) inclusive and resilient, 4) global ASEAN, and responsive ASEAN as a strong foundation. Anyhow, it is important of a political will, said Intal. So far ASEAN doesn’t have regional level political institution, each individual state has its own decision maker. Unfortunately, unlikely ASEAN will based political initiation for coping regional issue, he disappointed. Intal also explained the raised of middle class in ASEAN. Which was seen in many way such as influence by K-pop in the ASEAN territory. Intal suggests that insights from microeconomic studies on Korean firms adjustment and innovation response to globalization, insights from Korea’s experience on accelerated technological adaptation, human resource development, and education in the 1970s and 1980s, as key means of avoiding “middle income” trap, and Korea more deeply engaged in ASEAN regional integration efforts and Korean firms to embrace ASEAN more deeply in their global and regional production networks. Another presenter at second section, Dr. Pitchaya Sirivunnabood, Assistant Director and Senior Economist, ASEAN Secretariat presented AEC opportunities for Korean Business Community. Sirivunnabood mentioned AEC 4 pillars, 1) single market and production base, 2) competitive economic region, 3) equitable economic development and 4) integration into global economy. She said up-to date AEC scorecard updates overall rate 79.7% finished. Moreover, opportunities for Koreans are East Asia regional production networks, foreign direct investment (FDI), capital market initiative, and development of SMEs in ASEAN and ROK, and ASEAN-Korea Free Trade Agreement and Regional comprehensive economic partnership. For discussant, Dr. Kwon points out that ASEAN has been the second largest trade partner of Korea. And Bo-Young Choi explained that Korea Small and Medium Enterprises were higher exported to ASEAN. 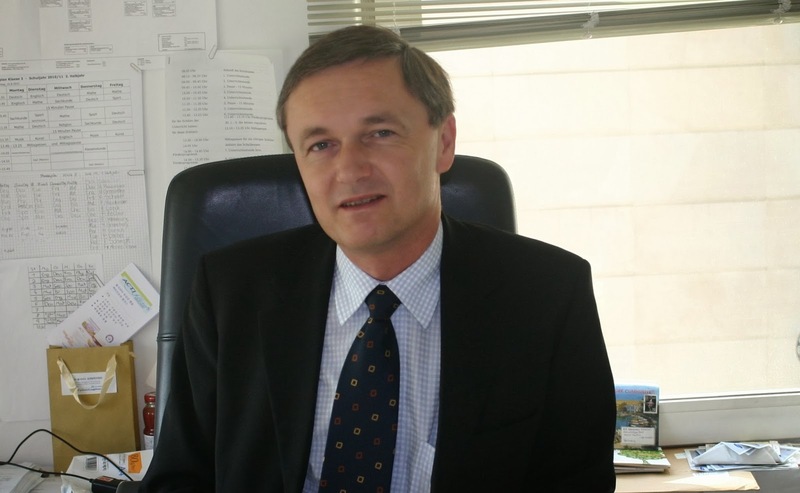 The Global Digest interviewed German Counselor Alexander Nowak about his career as a diplomat around the world and his present post in South Korea. As part of his diplomat role he is an advocate for German culture around the world, and during the interview he explained his vision and goals. Mr. Nowak basically became a diplomat because of family tradition - his father was also a diplomat. He was also interested in foreign affairs and studied law at a German University (Master level or 1st state exam). Mr. Nowak started his diplomatic career in 1986. Even before that he was an assistant of the deputy foreign minister in parliament from 1982, so he already had experience in the diplomatic field. His desire is to promote good relationships between Germany and other countries, and to create a better international understanding of German culture. He has had several different assignments and titles during his career, in both economic and cultural areas, and different posts in various regions - Eastern and Western Europe, Southeast Asia, Northeast Asia and North America. When he talked about success in his diplomat career he said that successful international relations are not statistically measurably, the job never ends and the needs of different parties and people must always be met. One of his greatest achievements was at the end of the communist regime in Bulgaria in 1999, where he was diplomat and partially contributed for ending the communist regime. Another achievement was his close involvement in humanitarian service programs that participated in the crisis reaction team for the Tsunami disaster crisis in 2004, and humanitarian work for the Estonian ferry that sunk in the Baltic Sea in 1994. Now, he is assigned to South Korea and he expressed his feelings about South Korea, how Korean people respond to European culture, and particularly German culture. Generally, Koreans are open-minded and responsive to western culture including German culture, such as music and visual art, he said. For example, the word “Hof” (beer shop) can found in Itaewon. Surely, the military regime is not a legitimate government, but they can’t change the regime of another country. He hopes, one day, liberalization will take place in Myanmar. And he noted there are encouraging sign in Myanmar, but that is not enough at all, and what the military government is doing is not really practicing democracy, and law and order have not been established yet. He strongly criticized the way Myanmar military conduct elections create their constitution, “I do not think it is democratic way.” Myanmar’s changes are so far not enough and there is no guarantee that it will not revert back to dictatorship, he said. From the German government side, they can promote democracy but they can’t interfere in Myanmar, he repeated. 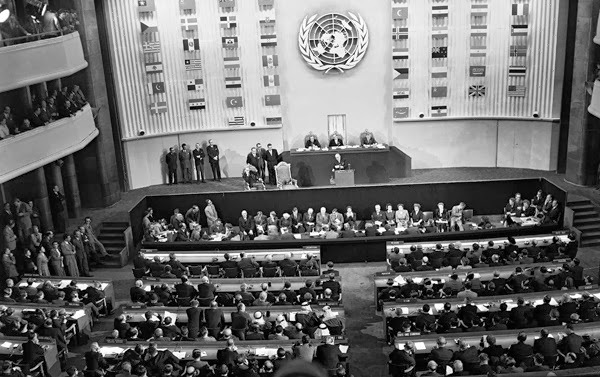 The UDHR was adopted by the third General Assembly of the UN in Paris. Human Rights Day has been observed on 10 December every year since 1950 to mark the anniversary of the United Nations General Assembly's adoption of the Universal Declaration of Human Rights in 1948. The Declaration is the common standard of achievement for all peoples and all nations. Pope John XXIII praised it as “a step in the right direction” and as “a solemn recognition of the personal dignity of every human being…” (Pacem in Terris, no. 144). Down the years, there has been a growing awareness among individuals and communities about their rights and dignity, leading to burgeoning of human rights movements everywhere. Commonplace today is people’s intense struggle for defence of human rights, even in India. This situation indicates, on the other hand, the widespread and flagrant violations of their rights adversely impacting the lives and livelihood of the poor and the vulnerable groups. The Indian State has been miserably failing in its duty to respect, protect, and fulfil the rights of its citizens. For survivors of 1984 Bhopal Gas tragedy and for the victims and survivors of caste/communal pogroms, justice has been evasive. The impunity enjoyed by the perpetrators of communal pogroms – be it in Gujarat or in Kandhamal in Odisha or Muzaffarnagar in Uttar Pradesh or anywhere in India – is abhorrently scandalous. The State’s indifference to people’s demand for deletion of para 3 the Scheduled Caste Order of 1950, which discriminates on the basis of religion; its obdurate refusal to end death penalty; and to repeal Armed Forces Special Powers Act that shields armed personnel from prosecution for their human rights violations illustrate the State’s disrespect for human rights. Moreover, the State has chosen to sacrifice the rights of its citizens on the altar of development. Mass displacement of tribals in view of mining operations or construction of power plants – thermal or nuclear – to the detriment of the livelihoods of fisher-folks or farmers is not uncommon. Indian State’s failure to protect women and children from abuse and sexual assault – despite ‘severe’ laws – is only too well known. Against this milieu, deliberating on the Church’s Role for a Better India, the Catholic Bishops in India during their 30th General Body Meeting in 2012 stated that “the Church commits herself to the liberation of the weaker sections like tribals, women and dalits,” and asserted that it “will engage in advocacy and networking…The Church will be a voice for the voiceless.” (8.6). The Indian bishops’ statement has been reaffirmed by Pope Francis in his recent apostolic exhortation when he said, “Each individual Christian and every community is called to be an instrument of God for the liberation and promotion of the poor, and for enabling them to be fully a part of society. This demands that we be docile and attentive to the cry of the poor and to come to their aid.” (The Joy of the Gospel, Evangelii Gaudium, no. 187). Let us pay heed, on this Human Rights Day, to the appeal that the Indian Bishops and Pope Francis have made, as mentioned above, and commit ourselves to leading a life of prophetic witness by lending voice to the voiceless. 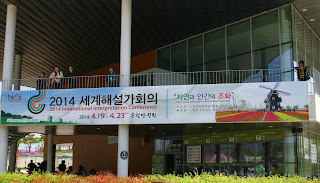 The Conference on Statelessness and Birth Registration was held at the National Assembly hall in Seoul capital city on 8 November 2013. Co-organizers of the conference are Save the Children, United Nations High Commissioner for Refugees (UNHCR) Representation in the Republic of Korea and National Human Rights Commission of Korea. Approximately, 300 people are attended at the meeting. At the Special Speech by Byeong-seung, Vice Speaker of National Assembly, in 2001, South Korea Commission was asked for the birth registration of stateless children. It should includes the right to education to all children. He expressed sadly those unregistered children cannot go for picnic with other students. There are about 1.4 million foreigners living in South Korea in 2014. The main speaker at the conference, Mark Manly, Head of stateless Unit of UNHCR presented an overview of the importance and legal basis for prevention and reduction of statelessness. He described the definition of a stateless person in international law: someone who is not considered as a national by any state under the operation of its law. At least 10 million of stateless people affected worldwide, largest known populations are found in Myanmar (800,000), Cote d’lvoire (700,000), Thailand, Syria, Latvia and so on. Mainly, cause of tensions between states, Cause of conflict, etc., Mark said. UNHCR’s Executive Committee recently adopted a conclusion on Civil Registration (with participation of Republic of Korea). Urges states to ensure civil registration and emphasizes that every child shall be registered immediately after birth without discrimination of any kind. 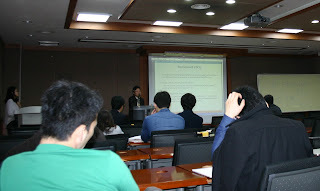 Another speaker Prof. Chulhyo Kim, University of Sydney pointed out one of crucial problems for a stateless person is “no determination procedure in Korea”. A family living in Korea can register birth registration, for that, South Korea government does have support such as to illegal migrant but never do recogization. Prof. Chulhyo Kim suggests such as issuing certificate, give a chance of naturalization and introduce new registration system in South Korea. Government officer Junho Jang, Public Prosecutor, Office of Legal Counsel, Ministry of Justice said it is difficult for South Korea to overcome, such as registration system instead of declaration system. As he mentioned, department of ministry of justice is complicated, so, the actual implementation can be done by Supreme Court, and also need supported by ministry of security and public relations. It is known that Ministry of justice is improving electronic system for registration. Advocator Youngah Park, Attorney at Law, Gong-Gam cried out for inept system in South Korea is a family nationality based birth registration. She mentioned a need of separate registration system for migrant. Jong-Chul Kim, Executive Director and Attorney of Law, APIL also mentioned Korean law not allows birth registration for not Korean nationality. Mark Manly presents second title of research on stateless in the South Korea: findings and recommendations. He found in South Korea, there was a deprivation of nationality of those in “sham marriages.” Upon discovery of false marriages deprived of their South Korea nationality and left stateless, unable to reacquire Chinese nationality for Chinese migrant victim. Another case was unregistered children of refugees and unauthorized migrants and children born outside of marriage. At their respective embassy office, diplomat missions refusing to register children of unauthorized migrants or imposing them high registration costs. Moreover, Mark notified difficult to rely on South Korea's official statistics because there is no legal definition of a stateless person in South Korean's law. 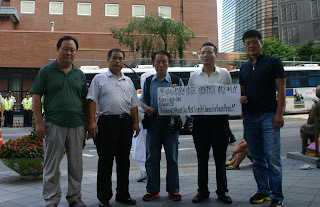 According to interviewed with the Ministry of Justice in Sep 2012, 183 stateless persons in South Korea: 97 stateless at time of entry in South Korea; 51 stateless due to sham marriages; 19 stateless due to failing to renounce a foreign nationality; 11 were residents escaping from North Korea but classified as Chinese; 5 in ‘others’ category. Mark provides recommendations to South Korea, such as to include a definition of ‘stateless person’ which is in line with Art 1(1) of the 1954 Convention, establish a statelessness determination procedure to identify stateless persons and to ensure compliance with South Korea’s obligations under the 1954 convention, implement a universal birth registration system to avoid barriers to birth registration for children of foreigners born in South Korea. 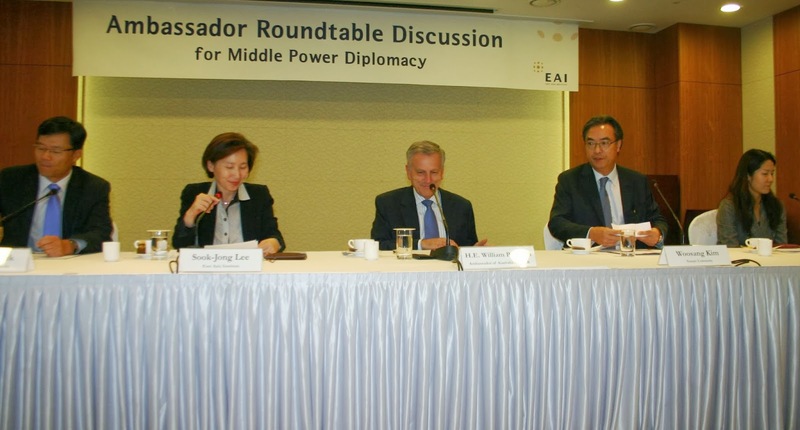 South Korea based East Asia Institute (EAI) organized a fourth roundtable discussion for middle power diplomacy with a special guest, Australian Ambassador William Paterson, on September 26, 2013 in Seoul. Along with H. E. William Paterson, the panelists were scholars, experts, journalists, and International students who joined in the meeting. The first informal meeting of foreign ministers of middle power countries was held in New York on September 25, 2013. Countries in attendance were Australia, Indonesia, South Korea, Mexico and Turkey. ‘Often, economic and political power weighs into the category of middle power,’ said Australian Ambassador William Paterson. There are five different countries networking together. Indonesia may not ignore its home regional club ASEAN; South Korea has a political setback when dealing with its peninsula conflict; Turkey doesn't have clear regional status whether it belongs to Europe or the Middle East; Mexico is also somewhere between central and north America, and Australia might be a representative Pacific islands regional group but the region itself is small and insignificant. Middle power status should also have at least some kind of influence in its region as do great power countries. In this circumstance, Ambassador William Paterson informally shared his opinion about what can be done by those middle power countries, such as cooperating in global stability and security, climate and environmental issues, food security and so on, beyond economics. After UNSC, the newly emerging big power group is BRICS, including Brazil, China, India, Russia and South Africa. None of middle powers can effect global politics, said Ambassador William Paterson. At the meeting, Ambassador William Paterson emphasized the relationship between Australia and South Korea which both of them are considered leading, middle power countries. Paterson compared the two countries’ GDPs; Australia and South Korea - 1.4 and 1.1 trillion USD respectively, and both are also members of the G20 and APEC. Paterson was skeptical about the formal acceptance of middle powers. He said that it should not be a substitution of existing multilateral mechanisms, but just to support them. He admits that the initiation of the concept of middle power originally came from Australia, however, South Korea tries to use it actively, he said. Prof. Woosang Kim, former South Korean Ambassador to Australia, said South Korea has a lack of multilateral agreements; of the country’s policies two thirds of them are bilateral. He wants middle power groups to be part of South Korea’s multilateralism. Prof. Kim also mentioned the complexity of Australian domestic politics on the issue of middle powers. Australia wants a little more status than the others, such as that of a pivotal power. Prof. Ihn-Hwi Park argued on the South Korean representative, such as the inability to unify the Korean Peninsula and the huge gap among Northeast Asian countries. Probably, middle powers will be a kind of ‘paper tiger,’ which cannot tackle issues, neither in global, nor regional areas. Meeting attendees also asked Ambassador William Paterson about the issue of boat people in Australia, and what might be the best way to solve humanitarian issues by the middle power group, since both Australia and Indonesia are faced with the issue. H. E. William Paterson is the newly appointed Australian Ambassador to South Korea. He also was the Ambassador to Thailand and has broad experience of the Southeast Asia region (ASEAN). 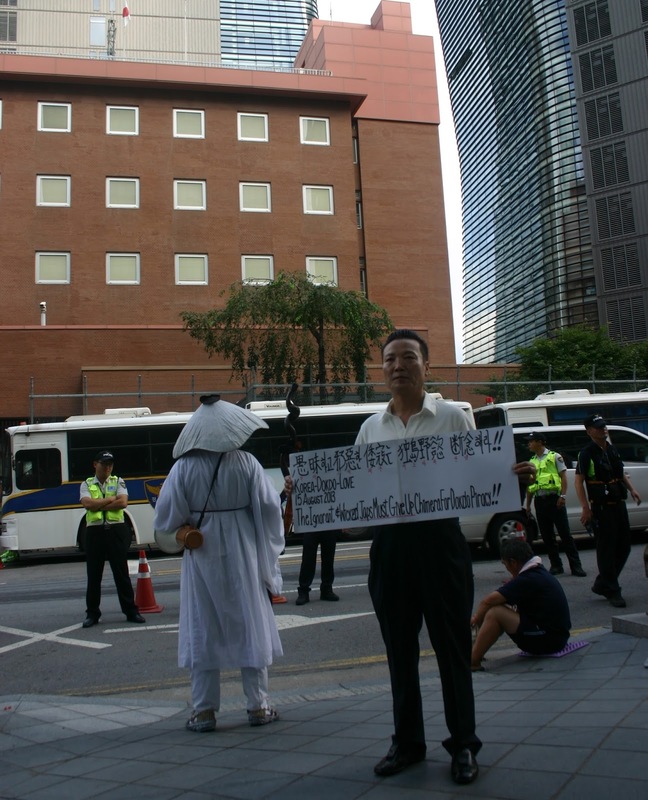 Global Friendship Club members’ protest rally in front of the Japanese Embassy in Seoul took place on the Korean Independence Day, Aug 15, 2013. In Korean, this day is called “Gwangbokjeol,” (literally "Light Restoration Day") in order to celebrate the end of the Japanese colonization on the August 15, 1945. 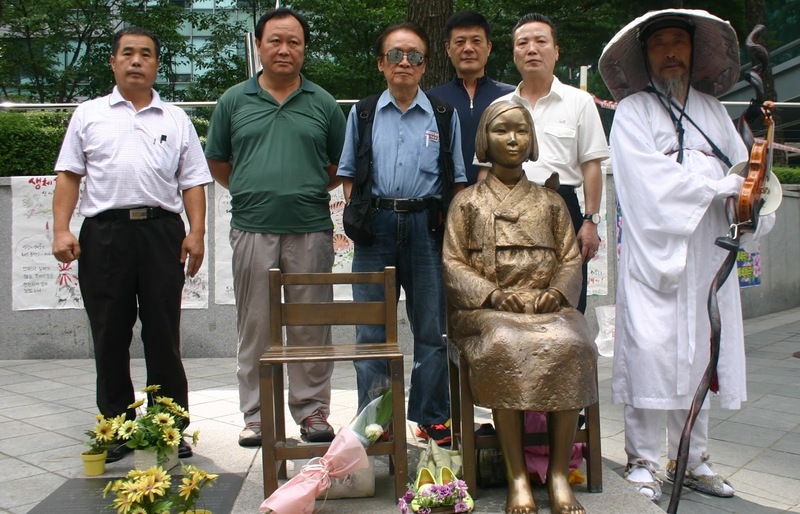 On that day many Korean patriots were released from prisons by the Japanese colonial government. As a result, this day is an annual public holiday, and the Korean President and other Korean political leaders attended to celebrate this historic Independence Day across the Korean Peninsula. 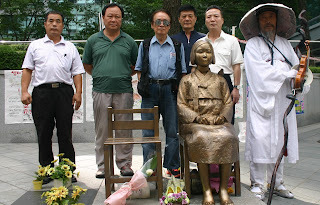 During the most recent annual protest, on the Aug 15, 2013, in the presence of large Korean policemen surrounding the Japanese Embassy in Seoul, the Global Friendship Club members and a public well-known patriot Kim Satgat drew pictures of Japanese soldiers persecuting the Korean people in those days. Kim Satgat recalled the past history and delivered a strong message to the Japanese Embassy personals how Koreans were oppressed by Japanese. He shouted toward Japanese Embassy building by using loudspeaker. Dokdo is still a critical issue between South Korea and Japan, where both countries claim ownership. At the moment, Dokdo is the primary cause of tension between the two nations. 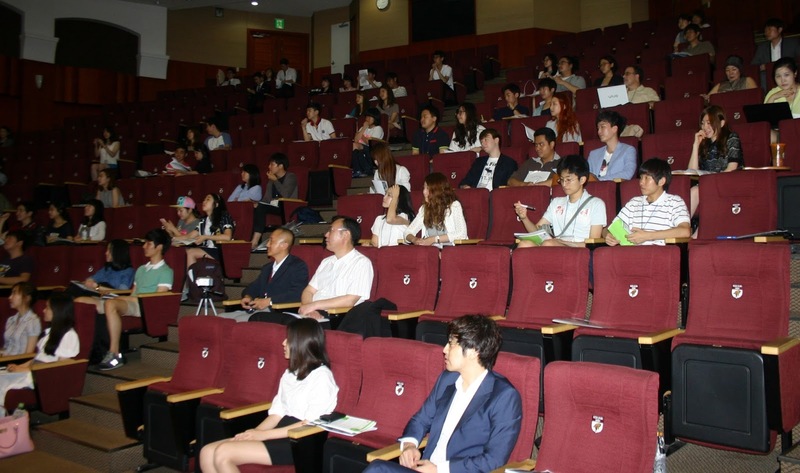 With the title of “Embracing Cultural Diversity: Learning to Live Together” open lecture series was held at Korea University in Seoul for two days Jul 12 & 13, 2013. Approximately, hundreds of attendees most of them are students, activists and scholars. Organizer KOLS wants to raise the issue of ‘Multiculturalism in South Korea.’ KUNISA also wants to enact together to reflect on the issue of ‘how to embrace cultural diversity’ here in this peninsula. Since South Korea is highly globalized in term of political and economic, in order to survive the nation. But the country development is not followed by social welfare and human rights. At the first session, lecture by Luis T. Cruz, the Philippine Ambassador to the South Korea, talked about on ways to resolve the many tacit multicultural conflicts in this country. 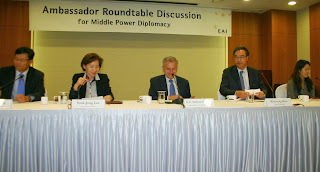 Ambassador also described how the two countries had been went relation through during Korean war and cold war. Ambassador point out Korea needs acculturation instead of doing only assimilation. He had been involved for solving migrant worker and married family, especially for Pilipino. Right now he is helping for doing a proposal to South Korean government about skill worker and educated migrant to get an equal right according to their quality. Normally, South Korea put almost all migrants are as unskilled factory worker status. He also opened and will try to persuade ASEAN regional community to cooperate with South Korea. 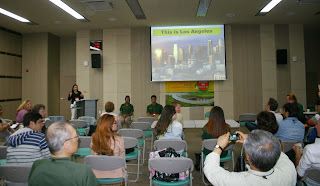 There were many presenters showed from their own experience and personal opinion, but no concrete solution had mentioned. Many people raised question that South Korea has to deal the issue enougly especially for themselves, to match with their economic system and human rights. “KOLS” (KUNISA Open Lecture Series) is an academic forum actively discussing prominent international issues. We invite renowned figures to speak on behalf of a selected issue, and conduct an open ground for passionate discussions by both Korean and foreign students. South Korea based NGOs organized Conference the title with The Dynamics of Human Rights Diffusion, at Korea University, Seoul, on May 7, 2013. The conference was warmly welcome by staffs at the reception. The main speaker Prof. Francisco O. Ramirez, Stanford University, presented the title of National Human Rights Commissions: Do They Work? It was found, in-spite of low numbers, many Human Rights Commissions in Asia are weak and not effective. ASEAN human rights charter is the only Asia regional treaty available. A Japanese Prof. Kiyoteru Tsutsui, University of Michigan, presented about minority rights in Japan, e.g. how Korean ethnic origin were discriminated in Japan by asked them to five fingers printing, as alienated from Japanese. Tsutsui pointed out it was a kind of minority rights violation, nowadays, Japanese government has implemented human rights better off. This 2013 SSK International Conference on Human Rights started 3 years ago, by the Social Science Korea (SSK) Human Rights Forum, in 2010. The SSK Human Rights Forum want to bring together scholars from various disciplines to assess the diffusion of human rights at both the national and international levels. This conference looks at examples of human rights diffusion in Korea and abroad in the areas of public perception, law/institutions, social movements, and education. The presenters seek to identify the dynamics of how political, social, and cultural forces have influenced human rights diffusion in different countries in these areas. By sharing comparative case studies, the conference aims to understand global and national patterns and challenges in the dissemination, reception, and recursivity of human rights norms. At the last section, Prof. Patricia Bromley from University of Utah said how South Korean violated migrant worker rights, in fact, they are the main producer of S. Korean's economic development. Bromley agreed a better treatment to migrant workers will be an example of human rights implementation and promotion in Korea. South Korea's dynamic developed economic within in a few years, but many scholars argued this doesn't follow human rights and social welfare, so one of the highest countries suicide rate in the world. There are very few human rights scholars in Korea, and most of the university students don't have much knowledge about human rights rather than economic. 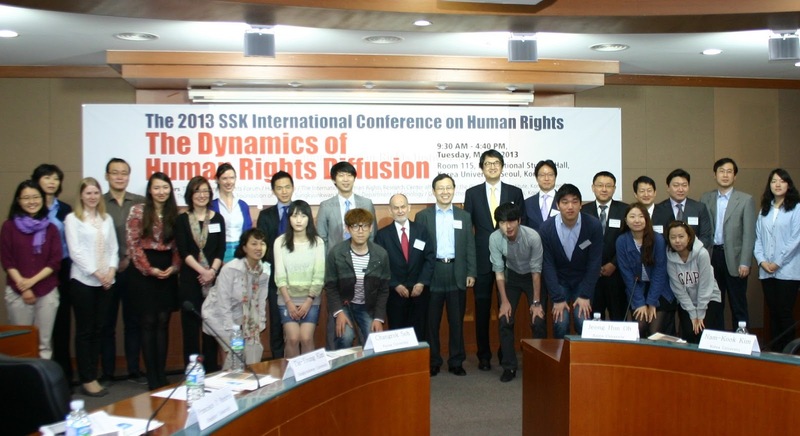 The SKK Human Rights Forum hopes to broaden perspectives on human rights and to bridge discourse, activities, and policy direction on human rights initiatives in Korea and worldwide. The SSK Human Rights Forum is an inter-university consortium engaged in a multi-year research project on human rights from a social science perspective. 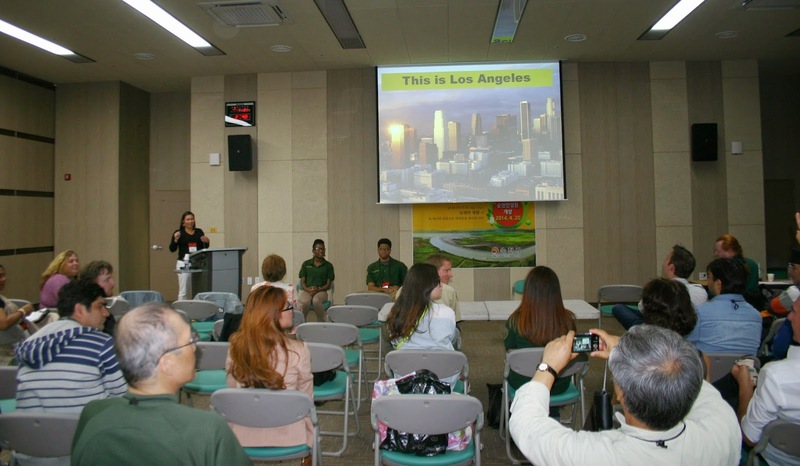 The project is funded by the National Research Foundation of Korea and participating universities include Korea University, Yonsei University, Sungkyunkwan University, and Stanford University. 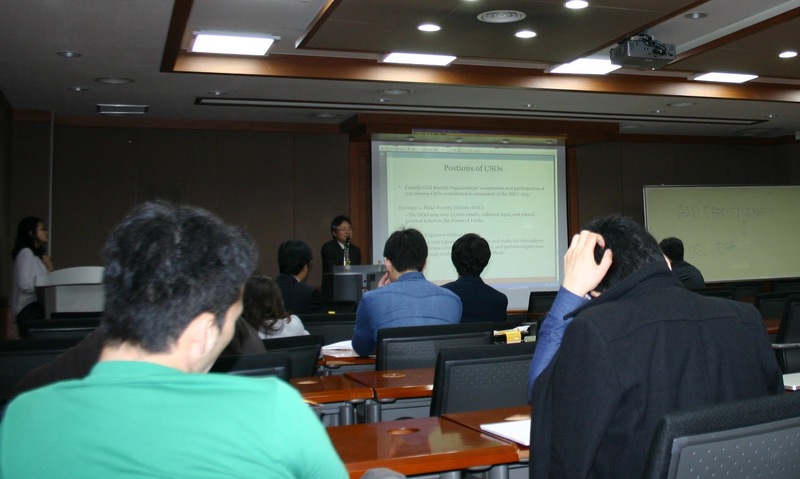 A special Workshop with the title of "Human Rights-based Approach toward International Development Cooperation and Canada’s ODA Accountability Act" held in Korea University in Seoul on April 23, 2013. 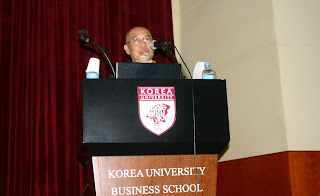 The lecture was presented by Hyuk-Sang Sohn, Center for International Development Cooperation at Kyung Hee University. Many students and activists were attended at the Workshop. Prof. Hyuk-Sang Sohn emphasized relationship between Human Rights and Development, where Poverty as a threat for survival which is Human Rights violation. He further argued the relationship between Development and HRBD is not competitive or contradictory. Rather it is complementary each other since the ultimate goal of Development is as same as the human race aims for; actualization of human rights in the real life. Most OECD DAC states emphasis on Human Rights standards for ODA policies. However, no state had legal binding measures. In 2008, Canada adopted ODA (Official Development Assistance) Accountability Act. Canada was the first country supported ODA as a duty, a legal binding. According to declaration on the Right to Development (1986) Human Rights standards for HRBA, “Development is a Human Right (Article 1.1. ),” Every human is entitled to enjoy economic, social, cultural, and political development (Article 1.1.) Declaration also requires, 1) to formulate appropriate national/international development policies (Article 2.3., 4.1), 2) to create favorable national/international conditions and cooperation (Article 3) 3) to formulate, adopt, and implement of policy, legislative and other measures to enhance the right to development (Article 10). In 1993, The Vienna Declaration and Program of Action re-confirmed “right to development” is universal and inalienable. There are some arguments, Duplicative or mutually competitive relation: 1. Human rights can be delayed for development, 2. Development can be delayed for human rights. According to three dimensions from a view of trade-off (Jack Donnelly, 1996), 1. The liberty trade-off, 2. The equity trade-off, 3. The needs trade-off. An approach to violate the social, civil right and right of freedom, and which can lead a lack of the government’s accountability, transparency in policymaking and income inequality. Canada has Official Development Assistance Accountability Act (ODA Act) (28.06.2008), which includes Poverty reduction (Article 2). And ODA provision should satisfy the following three conditions: 1) contributes poverty reduction; 2) takes into account the of the poor; and 3) is consistent with international human rights standards (Article 4). Furthermore, three groups (governments, international agencies, and Canadian CSOs) must be consulted at least once every two years (Article 4). And annual report to Parliament beginning 2009. Responsibility for annual report to parliament are 1) the total amount spent by the Government of Canada on ODA in the previous fiscal year, 2) a summary of any activity or initiative taken under this Act, 3) a summary of the annual report submitted under the Bretton Woods and Related Agreements Act, 4) a summary of any representation made by Canadian representatives with respect to priorities and policies of the Bretton Woods institution, 5) a summary of Departmental Performance Report of the Canadian. Canada’s ODA policy after 9.11, where Poverty reduction is distinct from counter-terrorism (Vicky Edgencombe, 2005). However, in 2003, Senate Roh Bolduc introduced Bill S-17 which emphasizes on sustainability, accountability, and governance as the goal of Canada’s ODA policy for economic development and poverty reduction. In 2005, Liberal MP John McKay submitted 12th report to Standing Committee on Foreign Affairs and International Trade. The report contains ODA effectiveness and efficiency. In 2006, Liberal MP John McKay introduced Bill C-293 which stresses accountability and consistent policies on international human rights standards for ODA delivery and administration. In 2007: Bill C-293 passed the House of Commons. And in 2008: Bill C-293 passed the House of Lords. Canada Civil Society Organizations’ cooperation and participation of 100 diverse CSOs contributed to enactment of the Bill C-293. Canada’s ODA Accountability Act is the first legal binding Act for ODA policy based on international human rights standards. Korea office The Asia Foundation held annual meeting in downtown Seoul city, on April 8, 2013. At the meeting the speakers are South Korea's foreign minister Yun byung-se, Unification minister Ryoo Kihl-jae, the foundation's president David Arnold, former Prime Minister Lee Hong-koo, a member of national assembly Philippine-Korean Jasmine Lee and Shin Kyoung-min. Approximately two hundreds of distinguish guests and foreign delegates were attended. The Asia Foundation started in Korea in 1954, is a non-profit, NGO that has maintained a presence in the Republic of Korea. The foundation supports institutional development, educational exchanges, and research and training in support of good governance and development. The foundation has carried out these programs in support of Korea's own rapid political and economic development. this reflects Korea's transformation from aid recipient to donor state and expanding role as a major aid provider throughout the world. The friends of the Asia Foundation Korea (FOTAF) created in July2004, to support Asia Foundation in Korea. FOTAF's particular focuses on Korea's international relations, its role in development in the Asian region, and programs that will support constructive engagement with North Korea for the ultimate goal of a peaceful Korea unification. South Korea's foreign minister Yun byung-se also expressed concerned about North Korea's nuclear ambition and destruction of Korea peninsula in amidst of highly tension between the two Koreas relation. CITYNET’s Secretary Office OPENING held in downtown Seoul city on Mar 26, 2013, approximately hundreds of people from Asia Region and around the world attended. This is the opening ceremony of secretariat office, as well as, which is relocated from Yokohama to Seoul. At the beginning of the program, Seoul City Mayor Park and CITYNET’s Secretary General Mary Jane C. Ortega opened the office and cut the Korean tradition rice cake, and then Mayor Park delivered a special message and showed a direction and vision for the organization with municipal and NGO leaders and experts. Moreover, the network is going to pursue sustainable development of cities based on international cooperation in city environment, health, poverty, infrastructure, and governance. Various activities including training, study tours, researches, international seminars and workshops, promotion of best practices; establishment of DB (city information, experts, etc.) in the Asia-Pacific region, technology teaching and advising; publication of newsletters (City Voice, CITYNET Club, e-News) and PR brochures. Partnership projects with international and Japanese organizations such as UNHABITAT(UN Agency For Human Settlements Providing Adequate Shelter For All), UNITAR(UN Institute for Training and Research), JICA(Japan International Cooperation Agency), CLAIR(The Council of Local Authorities for International Relations). Current leaders of the Organization are Secretary General: Mary Jane C. Ortega, Deputy Secretary General: Kim, Aisa Tobing, President (Yokohama), Vice Presidents (Mumbai, Makati), Executive Committee (12), including Country wise office representatives: Seoul, Colombo, Lyon, Kathmandu, Surabaya, Dhaka, Bangkok, AIILSG (All India Institute of Local Self Government). CITYNET has 130 cities members (83 full members and 47 associate members). CITYNET started in 1982: The 1st Regional Congress of Local Authorities for the Development of Human Settlements in the Asia Pacific is held. "The Yokohama Congress(Y'LAP)." In 1987: CITYNET was established with the support of UNESCAP, UNDP, UN-HABITAT, 27 members. In 1989: CITYNET was officially launched with the approval of the UN and UN-ESCAP, having 20 cites and 8 organizations as members. Yokohama was elected as President. In 1992: CITYNET Secretariat was established and in 1995: CITYNET is granted ECOSOC Consultative Status of United Nations (recognized as an international NGO) and in 2002: UN-HABITAT Scroll of Honour. Keynote speeches by Professor Benjamin Barber, Political Science Emeritus, Rutgers University Senior Research Scholar, Graduate Center, City University of New York. Professor Benjamin emphasize important of City for development and globalization. Benjamin is telling example of Seoul City Mayor Park who doesn’t need any bodyguards and he can work more for and can mingle with the citizens. Mayor Park is also a prominent social movement and human rights lawyer. Both Professor Benjamin and Mayor Park emphasize the important issue of migrants and refugees. New Delhi, March 20th 2013, 9 pm: A group of 19 delegates from the Kisan Khet Mazdoor Mahapanchayat met with six ministers of Government of India this evening, on the third day of the massive sit-in on Parliament Street related to protection of farm livelihoods. Sharad Pawar (Agriculture), Jairam Ramesh (Rural Development), K V Thomas (Food & Consumer Affairs), Shrikant Jena (Statistics & Programme Implementation), Namo Narain Singh (Finance) and D Purandareswari (Commerce) along with the seniormost bureaucrats of their ministries and the CACP Chairperson (Commission on Agricultural Costs and Prices) met with a 19-member strong delegation from the Mahapanchayat. It was decided that committees constituted for the purpose of looking into the different demands of the Mahapanchayat would be set up and time lines fixed in a meeting fixed for 12 noon tomorrow. A group of farmers’ leaders would also be meeting with Jairam Ramesh separately in the morning tomorrow on the governments’ amendments to the ‘land acquisition bill’ (rechristened subsequently). “This is the first step in the process of realising better livelihoods for farmers; the content of the demands would be discussed in detail once the processes for the same, including the time lines get fixed tomorrow”, said Yudhvir Singh of ICCFM. On 17 June 1992 the UN Secretary-General Boutros Boutros-Ghali drafted his landmark report named ‘An Agenda for Peace’, calling on the international community to more proactively respond to changes in international circumstances after the end of the cold war. 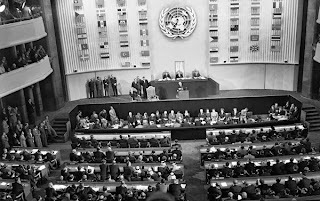 Emphasizing the need for collective efforts to fight against new security threats in the post cold war era, in the repot he conceptualized the peace operations the UN shall take part in more broadly than before, including preventive diplomacy, peacemaking, peacekeeping and post-conflict peace-building. From that time on, the new type of peacekeeping, which embraces not only conflict prevention, but also delivery of humanitarian relief, military assistance to civil structures in a failed state, has evolved. It is clearly distinguished in matters of principles and practice from the traditional operations largely represented by ceasefire monitoring, surveillance and conflict prevention, as shown in Cambodia, Cyprus and the border between India and Pakistan. In line with this change, the international society naturally started to have much higher expectations and demands for them than before. Therefore, the UN began to face a number of new dilemmas on its role as ‘the defenders of peace’ in the world; how to prevent atrocities effectively and protect civilians in a certain area or one country without infringing on a nation’s sovereignty? How their intervention could be justified in various situations from the standpoint of international law? And how can the UN peacekeepers prove that their activities brought about better outcomes than did not intervene? For the past decades, the UN’s ineptness in dealing with those challenges has resulted in several side effects. Selective actions, mainly due to intricate linkage of national interests of some Western major powers, have undermined the UN’s credibility on peacekeeping as a whole. Moreover, some ethical concerns about peacekeepers’ behaviors have become an issue for a heated debate in the international community, as sexual abuse scandals of the UN peacekeepers and the burgeoning prostitution industry surrounding the UN’s base camps, especially a high percentage of under-aged girls are involved in, such as the case of D. R. Congo, have garnered a lot of attention. On some occasions, to decide when would be the most appropriate time to withdraw troops becomes far greater challenge for the UN than determining when to take action. For instance, in Afghanistan, a doubt has been arisen as to how transition from the UNAMA (the United Nations Assistance Mission in the country) to Afghan forces can be successfully carried out by 2014, in a state where the external forces have already exerted a dominant influence in a society, while the internal security forces have yet to be capable of keeping public order on their own. Nowadays the circumstances of international threats and security have also changed over time. 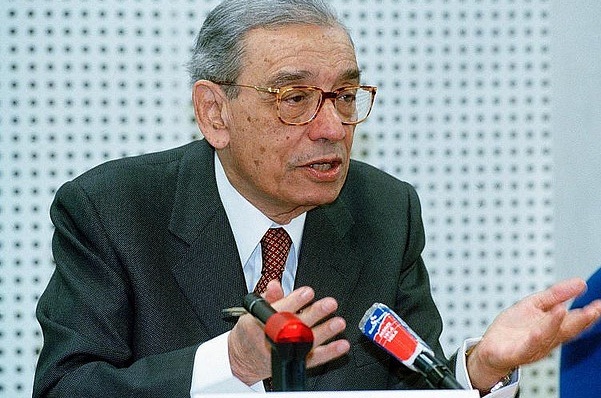 At this point, it seems apparent that in the second version of ‘An Agenda for Peace’ report, regardless of who or which institution will draft, some notions and principles need to be added, which are not explicitly written in the Boutros-Ghali’s original version. Theses are ‘effective communication with the civilian population’, ‘strengthening monitoring and evaluation mechanism’ and ‘clear recognition that peace process requires time, long-term turbulence, uncertainty and patience’. Above all, it is imperative in peace plan to recognize each country’s special needs and to exert flexibility through effective communication with people, not only heads of community or state, but also civilian, more specifically the marginalized, because sometimes leaders do not necessarily speak on behalf of their people. In addition, in order to prevent the worst situation that peacekeepers rather destroy ‘peace’ in operations, more transparent administration and strict monitoring system about PKOs may be required. Lastly, what is the most important but often overlooked is that peace is not a ‘result’, but a ‘process’, which entails enormous amount of pain, energy and effort. Bearing in mind this, all the leaders of peacekeeping operations should attempt to understand the intricacies of conflicts in every troubled region and have to be truly aware that no peacekeeping operations can resolve dispute completely, but only make contribution to the long-term peace process. PARIS(VIETNAM COMMITTEE) - The Most Venerable Thich Quang Do, Patriarch of the Unified Buddhist Church of Vietnam (UBCV) has been nominated for the 2013 Nobel Peace Prize. The deadline for nominations to the Nobel Peace Prize Committee in Oslo expires today, 1st February 2013, and the winner will be announced in mid-October. Nominations were submitted by a range of academics and legislators from the European Parliament, the US Congress and national parliaments of Italy and France. Two legislators evoked their own personal experiences with the UBCV leader. US Congressman Ed Royce, Chairman of the House Foreign Affairs Committee recalled that he had secretly met with Venerable Thich Quang Do at the Thanh Minh Zen Monastery in Saigon in 2000 and “was subsequently condemned by the Communist government in Hanoi”. “Fighting for decades, Thich Quang Do has selflessly sacrificed his own safety and freedom for the rights of all in Vietnam. 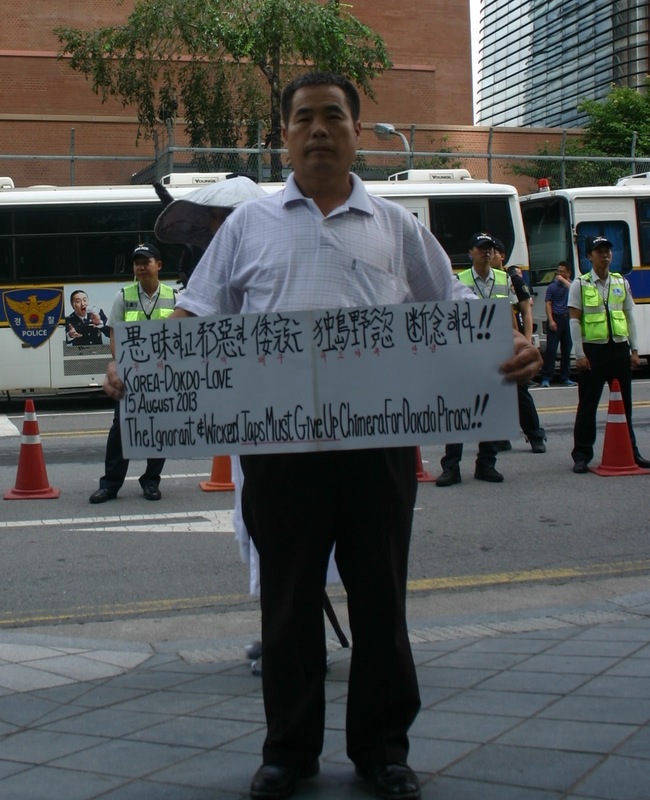 Imprisoned, beaten and isolated by the Vietnamese government, this brave man has dedicated his life to a struggle for human rights and religious freedom. I believe he exemplifies the ideals of the Nobel Peace Prize,” he wrote. Italian Senator Marco Perduca said that the Vietnamese authorities had prevented him from boarding a plane with former MEP Marco Pannella in Cambodia to visit Venerable Thich Quang Do in 2008, pretexting that that they were “not welcome by the locals and would have created a security hazard”. “Anybody that has dedicated his or her life to nonviolence, and to the quest for justice, peace and human rights in a country that fabricates such excuses in order not to let European legislators meet fellow human rights defenders should be praised for his or her work”, he said. Mr. Ramon Tremosa i Balcells, Catalan Member of the European Parliament from the Alliance of Liberals and Democrats for Europe (ALDE) and Mr. Noël Mamère, Member of the French National Assembly were amongst the personalities nominating Thich Quang Do for the 2013 Nobel Peace Prize. On 29 January 213, Mr. Fabrice Mauriès, French Consul General in Ho Chi Minh City and Mr. Jean-Philippe Gavois, First Political Secretary of the French Embassy in Hanoi visited Venerable Thich Quang Do at the Thanh Minh Zen Monastery. This the first time the UBCV leader has received a visit from French diplomats since he was released from prison in 1998. The discussion focused on the situation of the UBCV and religious freedom in general. Venerable Thich Quang Do expressed concerns about the new Decree 92 on religions which came into force on 1st January 2013 which, he said, “tightens state control of religious activities in Vietnam”. The French diplomats asked if things had changed in Vietnam over recent years. Venerable Thich Quang Do replied that much had changed, but the Communist Party and government’s authoritarian policies remained the same. “The people have no voice, they cannot participate in shaping their own destiny. The policy of the “free market economy with Socialist orientations” has failed to improve the living standards of vast sections of the population”. For this reason, the UBCV was determined to pursue its movement for human rights, he said. “The UBCV does not engage in politics, but we believe that all different social, political and religious families should have the right to participate in developing our country and preserving national sovereignty in face of Chinese encroachments on our lands”. He called on France, with its long-standing relationship with Vietnam, to support the Vietnamese people’s demands for human rights and the rule of law. He commended France’s creation of the “Maison du Droit” in Hanoi to promote and study legal issues. In reply, Mr. Mauriès and Mr. Gavois stressed France’s deep attachment to individual freedoms and rights. They promised to report on the meeting to the French Ambassador in Hanoi, and hoped that the Ambassador would personally visit Venerable Thich Quang Do in the near future. The UBCV Patriarch handed the diplomats a document in French prepared for the meeting entitled “Memorandum sur la situation de l’Eglise Bouddhique Unifiée du Vietnam”. 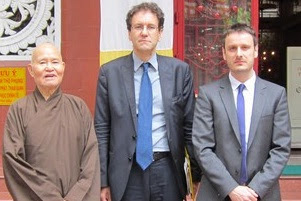 On 14 December 2012, Venerable Thich Quang Do received a visit from the German Consul General Mr. Conrad Cappell, and Mr. Markus Löning, German Commissioner for Human Rights Policy, who was on a 6-day fact-finding trip to examine human rights and religious freedom issues in Vietnam. Mr. Löning said he had heard many reports about restrictions on the UBCV’s activities and Venerable Thich Quang Do’s house arrest. The UBCV leader described government repression against the UBCV since 1975, including his own 10 years in internal exile, his 5-year prison sentence in 1995 for organizing a humanitarian relief mission and his current house arrest at the Thanh Minh Zen monastery, deprived of freedom of movement and citizenship rights, and subjected to round-the-clock surveillance. Mr. Löning asked why Vietnam deemed the elderly monk so dangerous that they kept him isolated in this way? Venerable Thich Quang Do replied: “Because I live according to the Buddhist principles of compassion and tolerance. I refuse to live in hatred and rancour like them. So they keep me locked up, in exile, prison or house arrest. In 2001, I launched an “Appeal for Democracy in Vietnam” calling for a multiparty system and free elections under UN supervision. If Hanoi’s leadership taken heed, they could have spared the people much suffering. But they are afraid of losing power and all the perks and privileges that go with it. That’s why they cling to the Party’s monopoly and refuse to open to political reforms”. Mr. Löning told Venerable Thich Quang Do that he had raised human rights and religious freedom in his meetings with the Hanoi government. They were particularly embarrassed, he said, when he asked them why Vietnam didn’t follow Burma’s example by democratizing the country. He promised to ask his government to press for human rights progress in Vietnam, and call upon Vietnam and China to settle the problem of the East China Seas according to international law. In a Memorandum on the situation of the UBCV which he handed to the German diplomats, Venerable Thich Quang Do raised the question of Germany’s bilateral “Rule of Law” dialogue with Vietnam, and in particular Germany’s cooperation with Vietnam on revising the Vietnamese Criminal Code. The UBCV leader urged Germany to press urgently for the abrogation of the vaguely-worded “national security” provisions in the Criminal Code which are routinely invoked to criminalize peaceful political and religious dissent.